When thinking of a weekend getaway or bounding around the world, no matter your budget, every traveller wants peace of mind knowing that their holiday plans are under control and in the hands of an expert travel agent. ATAS accredited travel agents have met strict industry standards so that you don’t have to sweat the small stuff. Your local ATAS travel agent is your one-stop shop for every piece of your travel puzzle. ATAS travel agents can help guide you in the planning phase to find the perfect destination, activities and, of course, how to get there whether you’re on a shoestring or an ultra-luxe budget. Once your holiday itinerary is locked and loaded, think of your travel agent as a personal travel concierge. They can provide valuable travel insights and services like visa applications, money exchange, tips on what to pack, luggage and carry-on restrictions or submit a special in-flight meal request to suit the fussiest of eaters. Aside from the where, when and how your ATAS travel agent can help make the why a little more special. A special welcome note or gift on arrival when celebrating a special birthday or anniversary, are just a few of the little extra touches that make the re-telling of your unique holiday moments that much better. We never know where or when a natural disaster will strike. Travelling abroad to a foreign country can be daunting in itself, however when faced with a natural disaster or other emergency, having the support and expertise of an ATAS travel agent to help find resolutions to your circumstances can be a most invaluable advantage. Your ATAS travel agent has the resources to alter your bookings, contact airlines, tour operators, friends or family, or even start the process of a travel insurance claim on your behalf whilst you are stuck overseas. Now that’s worth every penny for the savvy traveller. When shopping for clothing or groceries, Aussies love to support local and buy from an Australian business. Why should travel be any different? When you use a Victorian ATAS travel agent, know that you are supporting an Australian business. This also means that you’ll be working with a business that complies with Australian Consumer Law—something a company based overseas might not. Think of ATAS as the approved heart tick for your travel agency. Book with an ATAS travel agent – experience you can trust. Booking travel has never been more exciting. The flood gates have opened and there are more new destinations and unique experiences available than ever before. And with their contacts and connections, an ATAS travel agent will have access to exclusive travel inclusions and value adds to make you feel like a Very Important Traveller. ATAS travel agents have strong relationships with their travel product supplier partners like airlines, cruise lines, tour operators and hoteliers. These relationships are based on trust, reliability, viability and value for money for their clients. Ask your ATAS accredited travel agent about exclusive departures and unique travel experiences created especially for their clients, and not available anywhere else. Now that’s a perk that’s worth sharing with friends and family. Victoria travel agents are some of the best in the business. Find a Victoria travel agent with ATAS accreditation and you’ll be in good hands. ATAS accreditation is your ticket to peace-of-mind and experience you can trust. Whether you're travelling around the globe or staying much closer to home, an ATAS-accredited Victoria travel agent will have the tools, technology and training to deliver the very best, tailored travel experience anywhere. Victoria might be a relatively small corner of Australia, but its regions are jam-packed with wonderful places to visit, delicious things to eat, and unique micro and mega experiences. Rent a car—your ATAS accredited travel agent can help with that—and follow the highways and byways out towards the Grampians, the Great Ocean Road, Gippsland and the Goldfields for that unforgettable break you’ve been looking for. Your ATAS accredited Victoria travel agent is ready with local insights and expert knowledge to get you on your way. What are you waiting for? Becoming an ATAS-accredited travel agent takes dedication and discipline. Victoria travel agents who seek ATAS accreditation work through an application process that ensures only the very best travel agents bear the ATAS insignia. Victoria travel agents who receive their ATAS accreditation conduct business in strict compliance with Australian Consumer Law and in accordance with the ATAS Charter and Code of Conduct. ATAS accredited agents are travel experts who can offer you access to a huge range of travel products and destinations across Australia and the world, the most established, reputable travel operators, special offers and VIP touches. They will provide you with friendly, dedicated service and a hassle-free travel research and booking experience, from start to finish. Wherever you find yourself heading in Victoria, your ATAS accredited travel agent has the experience and local knowledge you can trust. Venture into Gippsland for pristine beaches, mountains and lakes, and wonderful towns by the water. Wander a stretch of stunning Ninety Mile Beach – a vast stretch of golden beach that separates the Gippsland Lakes from Bass Strait. If you’re a road-tripper, The Great Alpine Road offers a 339-kilometre journey along sealed roads that connect Wangaratta in Victoria’s north-east right across to Metung on the breath-taking Gippsland Lakes four hours east of Melbourne. The Great Alpine Road, as you might suspect, winds through Victoria’s High Country and opens up the Australian Alps. Take a detour to Mount Buffalo to encounter its unique granite formations, waterfalls and lookouts with sweeping views of the Alps. Return to the Great Alpine Road and continue to the alpine resort of Mount Hotham - Victoria's highest alpine village. Hotham swells each winter with the ski-set, but mild summer temperatures also make it popular with bushwalkers who trek beside fields of wildflowers. It’s also great for horse riding, and alpine lakes and streams attract anglers hoping to land some of Australia's largest river-dwelling trout. Read more about some of Australia's Ski Fields. Discuss you plans, your needs and wish-list with your ATAS accredited travel agent to ensure your travel plans fit you like a pair of waders in an alpine stream. Head out to the western reaches of Victoria, and you’ll find yourself exploring the historic Goldfields region—home to wonderful historic cities like Bendigo and Ballarat—and the rugged Grampians. Victoria’s gold rush is evident just about everywhere you look out this way. The regional cities and towns here boast wide, tree-lined streets, grand buildings, parks and squares that speak to the gleaming days of another age. Not that these cities are in decline. The numerous top-notch restaurants, galleries and wineries, and popular walking and cycling trails are testament to that. If you’re looking for a more physical pursuit, consider The Goldfields Track—a 200 kilometre walking-cycling trail between Bendigo and Ballarat through the lovely towns of Castlemaine, Hepburn and Daylesford. Further west in the Grampians you’ll explore rugged ranges whose explosions of colourful wildflowers draw seasonal waves of visitors. Much more permanent are the Grampians National Park’s wonderful Aboriginal rock art sites. As with much of regional Victoria, the good food and wine experiences are fabulous here, too. A new addition to the tourism landscape out this way is the astonishing Silo Art Trail— Australia’s largest outdoor gallery. Follow the trail and you’ll be taken on a 200 kilometre journey through a visual history of the Wimmera/Mallee region painted on towering grain silos. Have a chat to your favourite ATAS accredited Victoria travel agent and plan the perfect road trip through western Victoria. You’ll find their local knowledge and experience invaluable. The Murray River is Australia’s longest, and its long, meandering journey is responsible for the shape of much of Victoria’s northern border with New South Wales. Starting its journey as a trickle from the Australian Alps, the Murray drains the western side of our highest mountains, then winds across inland plains into South Australia before meeting the sea near Goolwa. It’s a journey of some 2,500 kilometres through gorgeous regional towns producing some of Australia’s finest fare—towns like river towns of Albury Wodonga, Echuca Moama, Swan Hill and Mildura. This is a region of slow holidays. Hit the Murray, hire your own houseboat and glide along at your own pace or rent a boat and drop a line in. The region’s great paddle steamers still ply these waters, connecting visitors with the pioneering spirit of the place. 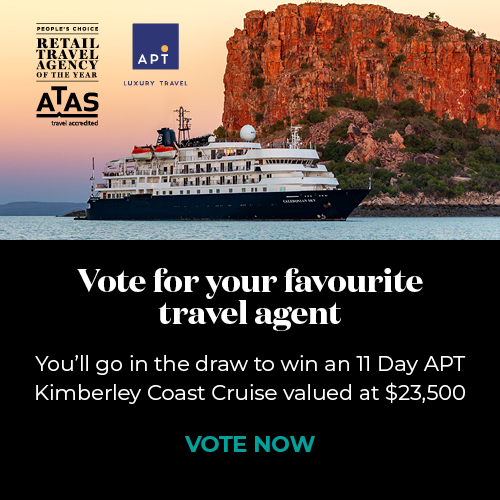 Your ATAS accredited Victoria travel agent can help you plan your visit at the best time of year, and book the perfect Murray River paddle steamer dining cruise. Head towards the very centre of Victoria and you’ll come to Daylesford and the Macedon Ranges—a region famed for mineral water springs, award-winning restaurants and wineries, and gorgeous boutique hotels and guesthouses. Many come to the Daylesford-Hepburn Springs region—home to more than 80% of Australia’s known mineral water springs—to unwind both in body and mind at local mineral spas and wellness retreats. Fine food and wine are also significant drawcards to the region. Likewise, Hanging Rock—a place seared into the consciousness of generations of Australians who have watched Bruce Beresford's haunting masterpiece. About 70 kilometres north-west of Melbourne and just a few kilometres north of Mount Macedon, Hanging Rock is the perfect spot for a well-provisioned picnic. A Victoria travel agent can help you plan and book that gourmet wellness escape you’ve been waiting for. ATAS accredited travel agents are great travellers. They live and breathe their passion for travel, constantly absorbing the latest travel trends, emerging destinations and new travel experiences. Their first-hand experience, local knowledge and relationships with tourism operators make Victoria travel agents the ultimate travel-planning resource and professional service providers. With your personalised holiday plans in the safe hands of an ATAS accredited travel agent, you'll travel with the confidence of having a trusted travel expert in your corner. As your neatly tailored holiday unfolds effortlessly around you, your Victoria travel agent is there to assist with any plans on the run. Likewise, if your Murray River paddle steamer dinner cruise is cancelled due to some unforeseen circumstance, you can contact your agent for help with the perfect itinerary adjustment or alternative suggestion. Consult your ATAS accredited travel agent like you would your accountant, hairdresser or solicitor if you found yourself in a sticky business or bad-hair-day situation.